Cara Mia’s is known to be the area’s best lunch spot, and although I don’t have the opportunity to get there very often, I couldn’t agree more with the assessment. Their subs, salads, soups, and just about everything I’ve ever had from CM are all very good. Everyone I’ve ever talked to about the place has rave reviews, and it’s really a destination lunch spot for many in the area. The tricky thing is that most days Cara Mia’s is only open for lunch, or just not very late into the evening where you can swing by for dinner. One other factor is that the dining area is quite small, and during the hour of 12:00 noon to 1:00 pm, it is sometimes difficult to get a table because it's so popular, but I’ve found if you arrive slightly before noon, or a little after 1:00, you can certainly grab a table without an issue. Enough of the narrative, let’s get to the pizza review! I ordered a personal Margherita Pizza for $5.95, which I thought was a pretty good deal because the size of the pizza can really feed 2 people. Now given, I have a hefty appetite so I devoured the entire pie myself, but for normal people, it’s the perfect size to grab a cup of soup and share a pizza. My pizza was ready and delivered to my table within 10 minutes, just like the speedy service I’ve always received. The presentation of the pie wasn’t quite as picturesque as I remembered, but it still looked very good. 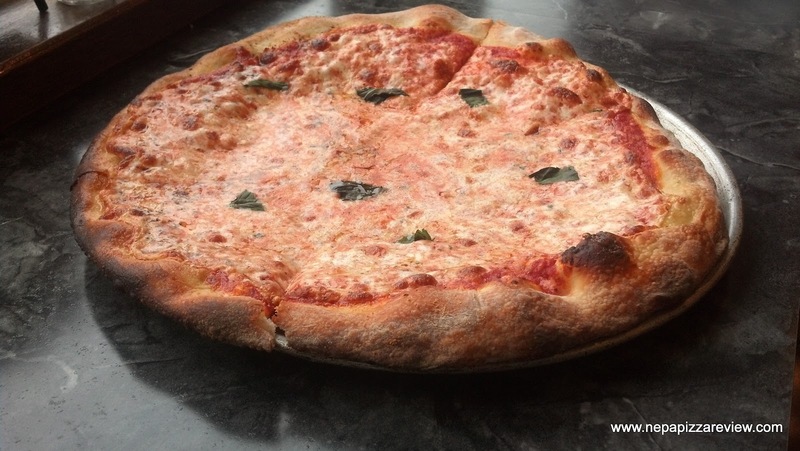 This genre of pizza is typically not perfectly round or perfectly evenly cooked because of the type of dough used and the high oven temperature. The only thing I could fault from an presentation perspective was that there was a little of what I call “oven dust” that got on one side of the pizza. Oven dust is simply cheese and flour which burned on the oven’s bricks and then gets scraped onto the top of the pizza at some point. It certainly wasn’t prevalent, but I’m obsessive about keeping my ovens clean, so I always note it when it happens to me! The crust was sheer perfection. It was light, crispy, airy, crunchy and delicious. I think I tasted a little olive oil in the dough which really put its flavor over the top. The sauce was light, vibrant and tasty, although I remembered it being a bit chunkier in the past. Although I like a heartier sauce, I believe the consistency served is appealing to most pizza lovers. Finally, the cheese was very good and of a high quality. For some reason I thought Cara Mia’s used to use a fresh mozzarella cheese like in traditional Margherita style, but I could be wrong. Either way, this mozzarella was very good and I enjoyed it. To top it all off, as most Margherita pies do, fresh basil was sprinkled on top. I’m not a big basil person but it really works well with the rest of the pie. 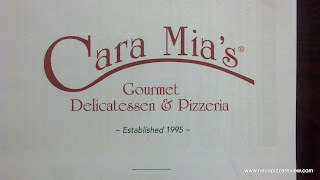 Overall, although this pizza wasn’t exactly as I remembered it, I was very impressed with the quality, and would give Cara Mia’s one of my highest recommendations for both pizza and everything else they offer. If you get a chance to have the best lunch in town I encourage you to do so!